The "buy and renovate" market is gaining steam, and no home renovation project is complete without talking about windows. Yeah, that's right, our "Upgrade Windows" headline is about those wonderful sources of light that you have in your home. If you have wanted to know what to do when it comes time to "upgrade windows," then you'll be happy to know I consulted an expert for this article. With scores of distressed homes for sale in Tallahassee, buyers of these apparent "deals" will be faced with significantly more renovations and repairs than a normal home buyer faces when moving in. Because of this, we have reached out to home builders to share their thoughts on the different aspects of building a home or renovating one prior to moving in. Over the years aluminum windows were the standard in North Florida, they were fairly inexpensive, worked very well and could come in many shapes and sizes along with having a good wind and sunlight exposure. The one bad thing was the aluminum would conduct heat and cold creating draft spots in your home. However as most things go in life along came a better option. Vinyl windows showed up on the market around 1990 and the Contractor that I worked with decided to give them a try. Even though they were a 'Consumer Reports Best Buy,' they were far from that. We had to replace more windows than we sold because they were not up to the daily use that most windows are put up to and would sag in the middle because of poor design. Today’s vinyl windows are a much better product and they are what I suggest people put in all homes at almost all price ranges. They have virtually the same R-value as a wood window and can stand the hurricane winds that vinyl windows of the past could not. They also come in a wide range of colors and will never have to be painted some even with lifetime color warranties; and they don’t rot. In perfect world wood windows with aluminum or vinyl exterior cladding would be my first choice, but they might be cost prohibitive. You are buying looks more than anything else. A wood window has to be installed differently and they have to be painted or stained on the inside which adds quite a bit of price difference along with their cost can be as much as 5 times as much as a vinyl windows. I love the look of a wood window but even the best available are susceptible to moisture problems which make them hard to open an close on a daily basis along with they are not completely void of wood rot. 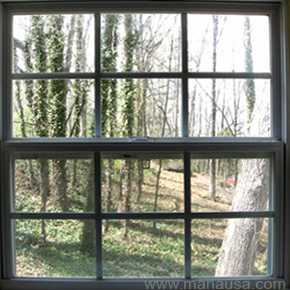 One thing I have learned with wood windows is that the cheaper you go, the more problems you will have. If you are going to spend the money buy the best, it will make your life much easier. When purchasing new windows for a new home or renovation look for several things, warranty, R-Value, Low-E and color selections. In most cases, Lenny recommends that vinyl is the way to go to get the most for your money, and that is what most of us are looking for today. If you have any other questions that you would like addressed by a Florida home contractor, just drop me a note and let me know how we can help.